Why Have an Online Business? This question is best answered by actor, Kevin Spacey who recently won the Golden Globe for Best Actor in a Television Series Drama (at the 72nd Golden Globe Awards). For his portrayal of, Frank Underwood, the crooked politician in the Netflix series House of Cards. Frank Underwood, claws his way into the White House by manipulating the press and ruthlessly crushing anyone that gets in his way. 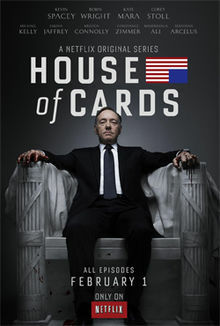 During the shows’ second episode (third session), Spacey, with just one line, actually delivered more honesty, than any politician, president, senator or Government representative has uttered in their entire lifetime. Wow so powerful! – Because it’s actually very true. Social Security and Medicare are not “rights” in any sort of legal sense. Congress decides on the payout, and Congress can change it or eliminate it, at any time. You really are not “entitled” to anything, and they are certainly not guaranteed anywhere in the law. But that’s not the message we will ever hear from our political leaders, irrespective of what party they represent. Don’t assume you’ll have the ‘jerry-rigged’ government social security programs to fall back on. It is far more prudent to assume you’re entitled to nothing, and plan accordingly and this is exactly why you need an online business. It was during the mid-to-late 1700’s, that scientific thinking and discovery culminated in what economic historians call the Enlightenment period. During which time the world saw breakthroughs in countless areas of thought and philosophy, like the kind of breakthroughs the Greeks had in the days of Aristotle and the first democratic movement. One of the more important economic developments to arise out of this period, in my opinion, was the invention of the steam engine by James Watt (between 1763 and 1775) and Adam Smith’s classic book and treatise, The Wealth of Nations, first published in 1776. Few could discount the massive impact that powered machinery together with the Industrial Revolution has had on our standard of living or the role that Adam Smith has played in how we live today. He was the first economist that truly understood the power of free market capitalism and its “invisible hand.” His insights still stand today. However as governments have taken over this powerful system they, unfortunately, today it seems to have little regard for how it made us rich in the first place. Instead, they practice the “invisible sleight of hand” and rob their citizens via inflation, but that’s a whole other story. Ultimately, the free-market system in all of its creative innovation and wealth creation has unfortunately been hijacked by destructive government tampering that now favours the upper rungs of society. It favours ‘mafia type‘ interests and powerful lobby groups who have succeeded in amassing increasing power. There is also the tendency for these groups to assert their power and rig the free markets and suppress the democratic urge. But you can’t have a society that continually favors the strong while the less fortunate struggle and fall further behind… otherwise, they’d revolt as has happened many times throughout history and more particularly revolutions, such as the Americans and the French during the late 1700’s. 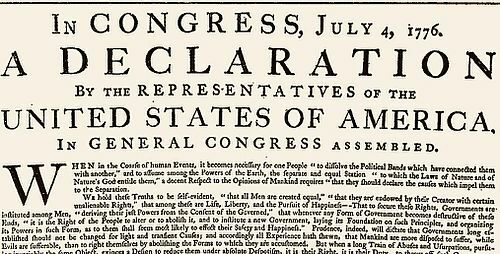 The Declaration of Independence and Constitution that followed, was not largely about America breaking from the monarchy of Great Britain. It was much more like the French Revolution, and it was about people revolting against total top-down control by such monarchies and a bureaucratic government that favored the upper classes. That’s where democracy came in. It brought the principle of certain inalienable human rights, namely “life, liberty and the pursuit of happiness.” In other words, it ensured that the everyday person got an equal vote, allowing them to feel like they have a say and stake in the system. The greatest revolution in our standard of living and the move toward more free and humane lifestyles didn’t just come with the Industrial Revolution. The Democratic Revolution also played a vital role. It was no coincidence that The Wealth of Nations and the Declaration of Independence came to life in the same year… 1776. It’s also important to note that major political and economic revolutions occur every 250 – 300 years… and hence the next one is due just ahead! Which is another reason, why have an online business? So there has never been a more important time to take control of your own financial future and create your own ‘invisible hand’ and embrace today’s latest technology revolution (the Internet) and seriously consider building an online business. Entrepreneurs are the key to innovation and expanding our standard of living. Having more of them is critical in a world where most developed countries will be shrinking or slowing demographically over the next few decades as Government’s struggle to come to grips with their gross economic mismanagement. Fortunately, there is an excellent place to get an education, and you can do it at your own pace and from your own place. 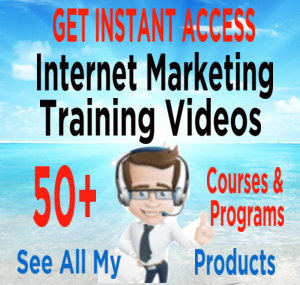 You not only get the education that you need to be a successful long term, online marketer. You also receive advanced knowledge about website construction traffic generation, SEO ranking, keyword research, content creation and lots of support and help and answers to all your questions from within the memberships community. With the internet beginning to dominate the business world, becoming an online business owner is a very wise choice, and currently, there are thousands of online business owners who are taking the plunge and joining the community of affiliate marketers. This is a straight, honest and down-to-earth program. Created by online marketers for those wanting to become online marketers and it won’t cost you a fortune or have you continuously buying ‘upgrades’ and ‘extras’ – like so many other programs. Best of all you can begin for free and stay a free member for as long as you like and if you elect to upgrade to a premium membership you know upfront exactly how much you will pay, and the additional value you receive in exchange is worth way more than the cost. So, if you want to learn how to build an online business, a business that will allow you to work from anywhere in the world and one that will make it possible for you to earn money in your PJ’s then take the wheel and get started NOW! 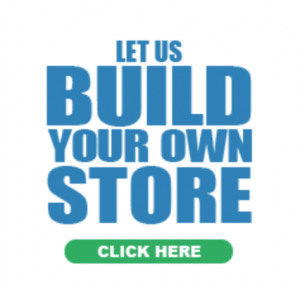 Yes, you can try it first, build a website or two and make money before you pay anything! And it’s available right here on this page. In fact, with this course, almost anyone can build a beautiful looking, revenue ready website in less than 30 seconds that includes hosting, auto-responders, indexing, spam protection and all the latest plugin technology for the efficient implementation and management of your entire website and you get this for free. To learn more about how to work online at home and make money read a few more pages and posts on this site. If however you still believe you have some entitlements (and maybe you do) You may want to get a copy of this publication The Social Security Retirement Guide, written by Jim Blair a former Social Security Administrator, where he gives a candid behind the scenes details, on what to expect when dealing with your social security and retirement decisions. This Guide digs deep and will allow you to learn how to maximize your benefits (while you still can). It includes email support for questions and provides access to all future updated editions as well as being an excellent source of information and is a must for anyone planning on achieving any sort of quality retirement in the next few years. You can get your copy here: The Social Security Retirement Guide. 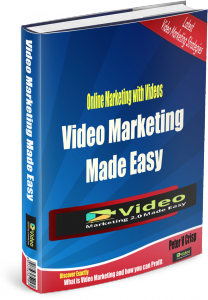 Oh… and if you do leave a comment, I will reward you with a free copy of my latest 60+page ebook; Video Marketing Made Easy – So please accept my bribe and leave a comment. The book is awesome! 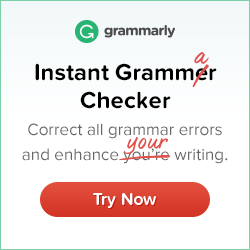 and so are you for leaving a comment – Thanks! Oh my gosh yes Peter. There are so many great reasons to have an online business. I also worry about things like inflation, lack of employment opportunities and so many other things. I just want to work online from home, be with my kids and make sure they have a secure future. My 4 year old daughter keeps asking me when she is going to get her laptop and start working with me. Hello, Lynn Great your daughter wants to start her career early, ha ha. There has never been a more important time to take control of your own financial future and create your own ‘invisible hand’ and embrace today’s latest technology revolution (the Internet) and seriously consider building an online business. Internet marketing and building your own business is the way to create a future for yourself. I was just the other day watching this episode of House of Cards and that stuck in my mind, so when I saw it on your blog I was intrigued. Yes, all around the world there is this sense of “entitlement”…the people who “demand” stuff be handed to them on a silver platter for no good reason. Any online business, affiliate marketing being one of them, takes time and effort. We are not “entitled” to be successful just because we do work hard on it. I would like to learn affiliate marketing. Why have an online business? Because I think it is still a relatively “new” thing these days and certainly worth getting involved in now, rather than later, when it may be too late. I joined Wealthy Affiliate because of this advice here in this blog post. I recommend anyone reading this, get serious about Wealthy Affiliate, put your back into it and you’ll not regret it in the long run. But be warned, it takes time, patience and determination from the outset. If it really were so easy, then everyone would be at it and the game would become diluted to a degree that it would not be worth doing it. Don’t use the “entitlement” approach with affiliate marketing, work hard, stick at it and don’t give up. I have always wondered how to take advantage of the online world. 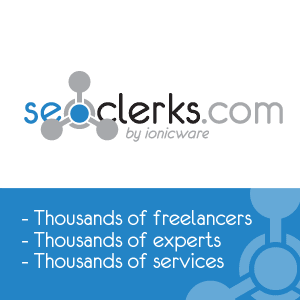 There are so many people surfing the Web everyday, and most of them are purchasing products. You clearly state the advantages of having an online business and you do it in a very comprehensive way. I might give Wealthy Affiliate a try since I have nothing to lose. Like you state in your post, is free to try. Thank you for your information. Hi Peter, I loved your website you told us what kinds of scams are out there and what to look for and how to avoid them. I also like how you explain what a good opportunity look like because, most people don’t know what to look for, and how to find them. I’ve pictured myself working at home so I can spend more time with my son and work on my personal goals and I never thought it was going to happen so soon because after graduating from college I was jobless and “accidentally” discovered Wealthy Affiliate. It’s always good to break away from conventional way of living but just do it my way. I feel more free. Hi Peter! I also often ask this question to myself, Why do I need to have an Online Business? In the first place I went to school, studied hard, graduated on time and earned a degree. And all of these just for making an online business? But it is just recent that I realized that it is the new thing to do to be more successful in life. Unfortunately I don’t know where to start, do you know any learning institution that can help me in starting my own online business? I agree the future is definitely to work online, that is the way the world is going now. Working from an office is going to be old school soon. I think the time is now to start an online business and to learn how to do it properly or you will be left behind. There are so few employment opportunities and really who wants to work for a boss anyway? Be your own boss and work online from the comfort of your own home. Great post Peter. I’ve never seen the political/economical approach used to encourage people to start an online business before. The videos you posted were very inspiring, in the case of Kevin Spacey’s clip, and informative on global economics. In the end it made me feel good about taking a more proactive approach to my own financial future via Wealthy Affiliate. I’m sure it would do the same for those searching for a way to do that themselves. A very good read. Hi Peter! Great insight about making money online. And I like the part when you said that there has never been a more important time to take control of your own financial future and create your own â€˜invisible handâ€™ and embrace todayâ€™s latest technology revolution (the internet) and seriously consider building an online business. I mean this is really the time to start building your financial freedom. And making online business is just one way to build passive income. Thanks for the great thoughts! More Power! Great and unusual take on the reasons to establish an online business now! Plus liked the referral you provided on how to get started using an ethical and completely encompassing educational and experienced based site such as Wealthy Affiliate. I agree totally on these points. I appeciate your perspective as presented here, if I can paraphrase, is that, more and more, the powers that be may not be interested in holding up to their earlier promises in regards to programs and such (I can attest tho this as a military veteran). My concern is this: They also want to gain control of the internet, the tool that provides the means to establish our monetary independence, using such a vehicle as Wealthy Affiliate is! OK enough lol! Great article and take, an enjoyable read! Hello David Yes let’s hope the people wake up soon to the worlds biggest scam – the necessity of ‘Governments’ and stop falling for their B.S. We don’t need them as individual businessmen and woman can and will take care of all our needs and requirements in a more cost effective and efficient way. If Governments just get out of the way. For too long we have be suckered into believing they are there for our benefit. But history has shown this NOT to be the case. Without the ‘legalised’ gangs protection of the rights of certain people. Everyones rights would be protected if we instead protected the rights and interests of the smallest minority group in the world – ‘the individual’ Instead Kings, Queens, Emperors and now governments have used the divide into groups and then rule principle effectively for centuries. It’s time to wake up and the internet is our chance to create our own economic power and security and the reason it’s is most feared by the ruling elite, because it represents freedom for the masses. Excellent article! Anything that uses a Frank Underwood line has my backing from the word go!!! Very inspiring stuff Peter! Thanks for moving my neurons! I totally agree with you, even If you have a good job that lets you provide for your family, I believe that most of us have this hidden impulse of building something of our own. I believe it is in human nature. At some point in our life, we all hear the calling for “that thing” that you desperate need. And as you clearly said, today is easier than ever, thanks to the revolution of the internet, and having you own business is just a few clicks away. But beware, there are no shortcuts, nothing will replace the good old hard work that is ALWAYS needed to succeed, but if there is a place where you can get the best out of you hard work, is WA. So I totally agree, and I have been a member for some weeks now, and not regretting it a bit. Thanks for the inspiration and keep the good work! Peter this is a brilliant piece of work! You’ve unwoven and rewoven the threads of History, to elaborate the incredible cycle of opportunity we live in today. And you’ve let me in no doubt that only is having an online business a necessary revolutionary act, but it’s also in some ways our civic duty! Thanks for the thought provoking and well research article. Your thoughts on this page reflect a lot of what I think about. When it come to government, I consider myself a “Free Thinker.” Honesty is an important character trait and since most politicians could never get elected on a platform of honesty or integrity, I just don’t see government as the ones to “cure” society’s woes. Thank you for taking the time to put this together. God’s Best to you, Peter! Wow! What a different place the world would be if we got honesty like that from our leaders in real life! +1 for Wealthy Affiliate – I cannot imagine a better place to learn the ropes of affiliate marketing! On January 5th 2015, I had no idea how to even go about building a website. Less than three months later, I have four sites, and some are starting to earn me money – it’s quite amazing. The online revolution is well and truly under way! Interesting article Peter, like the analogy. I learned a long time ago that I am fully responsible for Everything. Great Post! Why have an online business? Why not! We are all blessed to live in the age of the internet. All we have to do is apply ourselves and our efforts are magnified a thousand times. You’re recommendation is spot on. Thanks for laying it out so beautifully. Great article Peter! You are motivating me to develop my own content and get moving on the creation of my “invisible hand”. Great lesson for all to read…just 3 words… New World Order !!! you are absolutely right. Politicians and governments can’t be trusted. The only person you can rely on is yourself, so I took your advice and joined Wealthy Affiliate. Smartest choice I have ever made. I tried for free for 5 days, and was then so convinced that this was the right way to go. It has now been 6 months, I am earning money and having fun at the same time. Nothing better than being your own boss. I have never seen the Television series you are referring to, but the quote “you are entitled to nothing” is something we all should take very seriously. You never know what tomorrow will bring, so take your future into your own hands and do something about it TODAY. Hello Peter, it was clear explanation, why is smart way to turn our business online. Wealthy Affiliate is great place to learn, grow and earn substantial income. Thank you! So,let’s get out there and work. Excellent article Peter. While reading, the French revolution came to mind right off the bat. I believe we’ve allowed ourselves over the years to become conditioned to expect the government to take care of us in one form or another. A gov’t “by the people, for the people” is long gone and HAS been replaced by top-down control as you mentioned. An online biz CAN be the way to go to re-awaken our entrepreneurial and independent spirit and break out of the entitlement mindset. I for one appreciate the information and am going to give it a shot. Great analogy! I happen to agree with you. We all need to look after ourselves and an online business sounds like a great way to do that. I am really computer challenged. I know the basics but I’m not sure if I would be capable of handling a website. What if I get stuck? I don’t want to start and then have no place to turn. You say that there is always someone around to help, but why would they want to? Very nice! I learn something new every day.